No game day celebration is complete without buffalo flavored recipes. Whether you are using it to make wings, appetizers or something a little special, it is a must have. It’s even great for non-sports related parties and your guests will be excited to eat something a little spicy. They may only eat buffalo sauce when watching sports so it will be a nice surprise. These buffalo sauce recipes are easy to make and delicious – two key components to any good party recipe for sure! 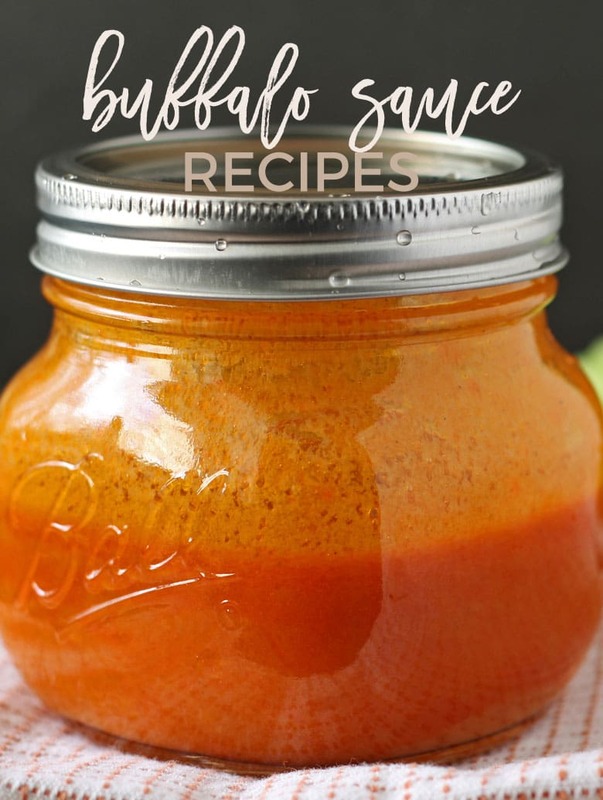 Whether you make one recipe, or decide to make it a buffalo sauce party and you make one of them, you are sure to find a new favorite crowd pleaser. To start, you need a good buffalo sauce recipe. My homemade buffalo sauce recipe is not only easy to make, it is delicious. It goes beyond the basic butter and hot sauce mix and adds delicious spices and flavors to really take it to the next level. You can make it a day in advance and keep it in your refridgerator until you are ready to use it. Once you have your buffalo sauce, you are ready to go. Buffalo wings are a great way to start off. They are a sports party basic, no matter the sport (though I throw the best football parties for sure!) Serve it with ranch dressing, blue cheese dressing and some carrots and celery. 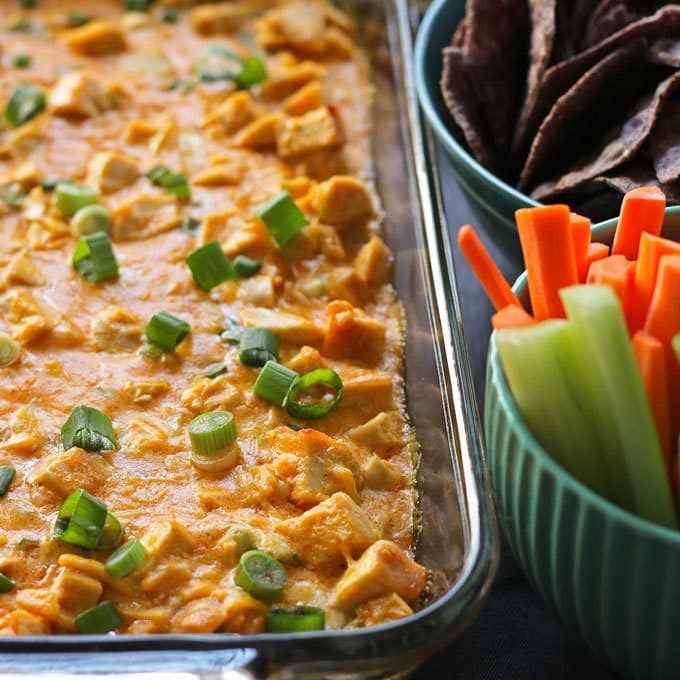 Buffalo chicken dip is another great party go-tip. Serve it with tortilla chips or crackers. Buffalo chicken pizza bread is another easy appetizer and perfect for using up some extra buffalo sauce. Lots of blue cheese, ranch dressing and green onions take this over the top. And for a healthier appetizer, baked buffalo chicken rolls are the answer. They still pack all of the flavor of fried buffalo chicken egg rolls but are lower in calories thanks to putting them in the oven instead of a fryer. If you want to surprise your guests with something a little different, the next few recipes are really amazing and different. Are you a meatloaf fan? Make buffalo meatloaf. Drizzle it with more buffalo sauce and some blue cheese crumbles for that extra something. Is there a chili fan in the house? Make some buffalo sauce chili. For an easy dinner, make my one pot buffalo chicken pasta. It only takes 30 minutes to make and is delicious!